NASA will likely get funding to snag a 500-ton asteroid and put it into orbit around the moon, says a US senator representing Florida. Bill Nelson expects the $100-million mission to be part of President Obama's budget, expected to be released this week. After the asteroid was put into orbit, it would then be mined and studied to determine how such objects could be prevented from striking earth. Timeline for the mission is for astronauts to land on the asteroid in just eight years. Nelson, who is a Democrat and Chairman of the U.S. Senate Subcommittee on Science and Space, says on his website that this is part of a "much broader program." "The plan combines the science of mining an asteroid, along with developing ways to deflect one, along with providing a place to develop ways we can go to Mars." The $100 million is just seed funding. The total cost of the mission is estimated at $2.6 billion, says Yahoo News. 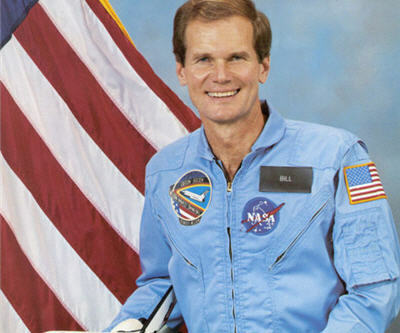 Nelson is a former astronaut. He was a payload specialist on the Space Shuttle Columbia in the mid-80s. A recent asteroid that flew by the earth had an estimated value of $195 billion in metal and fuel.